As part of the HamSci Solar Eclipse experiment, I recorded wideband data from my SDRs on the theory that capturing the data for later study might be more productive (and less stressful) than trying to do measurements in real time. I think that theory played out very well. 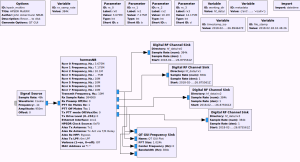 While the Gnu Radio Companion WYSIWIG program is nifty, there’s quite a learning curve. It would be nice to have a recording program that’s not quite so intimidating. This post is a wish-list of what I’d like to see that program do. 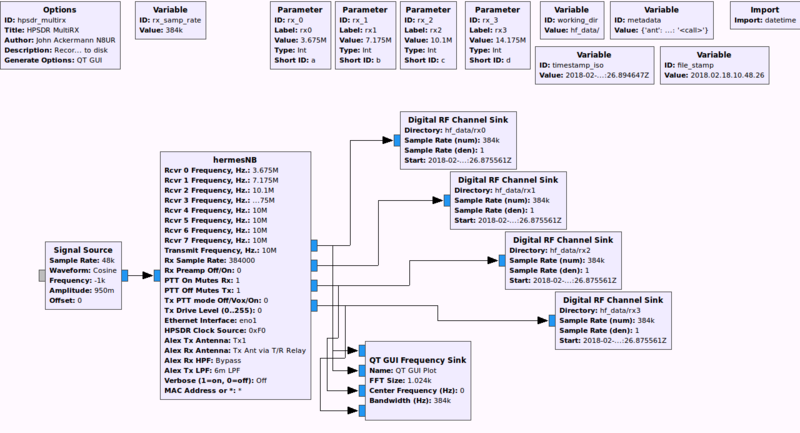 Almost all of the functionality exists within Gnu Radio; what we need is a GUI front-end to make it accessible. Unfortunately, GUI coding is not my strong suit, so I’m looking for a volunteer to take this on. To Research: Since all receivers currently are 16 bit or less ADC, can we store complex16 rather than complex32 to save storage space?